This valuable resource is designed to provide a foundation for understanding major pathophysiological processes, applied pharmacology, and related nursing implications. It includes a holistic framework for assessing major health problems, based on fundamental concepts drawn from biological and behavioral sciences. 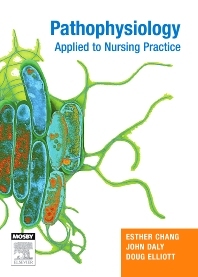 The book's engaging case study approach builds in complexity with each chapter, illustrating applications of pathophysiology and pharmacology to nursing practice. Content has been assembled by academics and expert clinicians with input from physiologists, pharmacists, medical practitioners and other health professionals. Easy-to-follow body system organization explores pathophysiology concepts related to each system. The clinical case study approach featuring realistic scenarios emphasizes application of pathophysiology and pharmacology concepts in nursing practice. Each chapter includes questions and reflective learning exercises to reinforce important concepts. A holistic framework is presented as a method for assessing major health problems. Key aspects of biological and behavioral sciences are integrated into the chapters.